The Parks and Wildlife Commission of the Northern Territory (PWCNT) is seeking expressions of interest to manage a kiosk, campgrounds and day use areas in the Tjoritja / West MacDonnell National Park. The park stretches for 161km west of Alice Springs and is jointly managed between traditional owners and PWCNT. 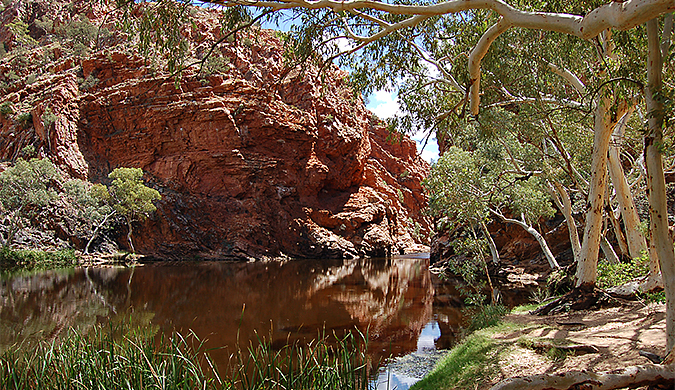 The campgrounds and day use areas included are at Ormiston Gorge, Ellery Creek Bighole and Redbank Gorge. The opportunity includes the operation of the Ormiston Gorge kiosk, providing a range of assorted food, beverage, retail and information for park visitors. PWCNT is also seeking proposals for additional services and experiences that can further enhance the visitor experience and increase visitor numbers and dispersal within Tjoritja / West MacDonnell National Park. Ideally the successful organisation is innovative and passionate about providing quality tourism and hospitality services in protected areas and committed to the protection and enhancement of the natural environment. The opportunity is for a period of two years with submissions closing Friday 25 November 2016. Opportunity available to manage the campground and day use areas of Ellery Creek Bighole and other areas in the Tjoritja / West MacDonnell National Park.